Jak Kwang Builder and Developer Sdn. Bhd. 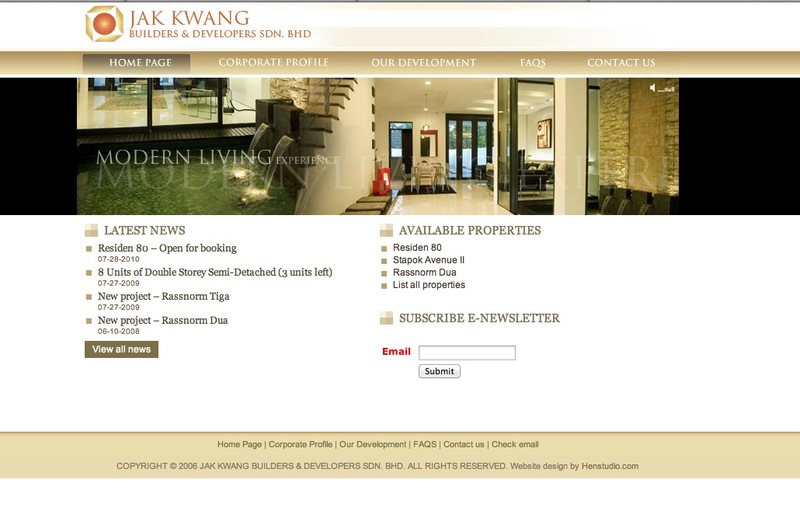 is well-known property developers in Kuching, we help them re-design their website to be more corporate and luxury look. And easily promoting their property with friendly navigation design. Also, the content can be easily update by client without any advanced HTML knowledge.